Expertly crafted in the UK, the Conniston 4 Arm Chandelier by Heathfield & Co presents a contemporary take on a traditional chandelier. The distinctive design features four framed lampshades that are available in a variety of luxurious materials and classic colours. 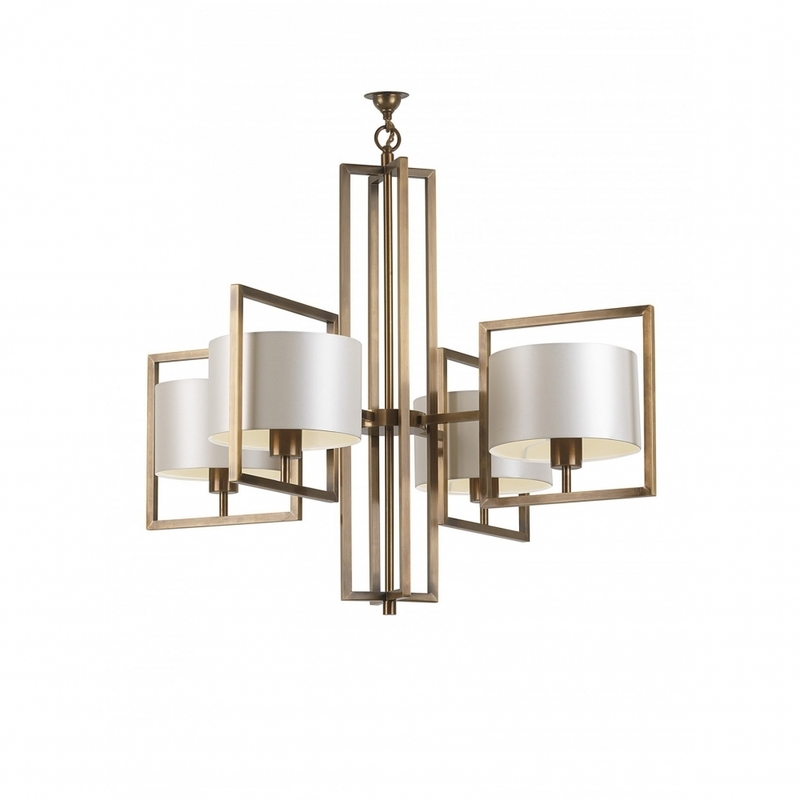 Art Deco in feel, with a geometric shape, this chandelier will add elegance to a dining room or living space. Choose from either a nickel or antique brass finish. Make an enquiry for more information.